This book had me in a puddle of swoon!! Can young love stand the test of time? Is it possible to find "the one" in high school? 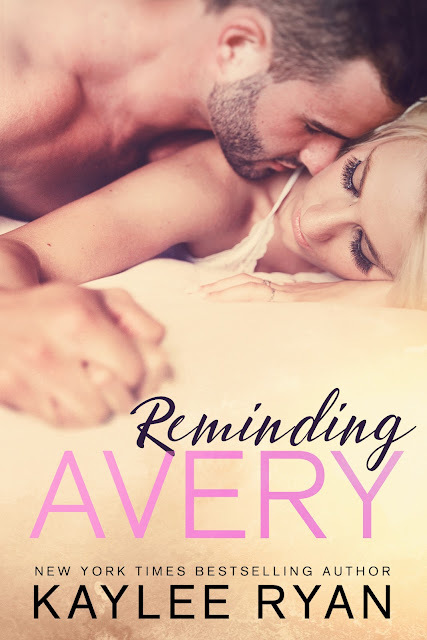 Reminding Avery was a quick refreshing read about young love and second chances. It's sweet and romantic and oh so swoon worthy. I loved how their relationship developed and the small town feel of the story. I will admit that the first half of the book had me worried. I tend to have trouble with books when the characters are in high school. But, I trust Kaylee to take me on a journey that is passionate and rewarding, and that's exactly what she did. The story flowed well with very little drama. The chemistry was appropriate for the characters at the time and I loved how easily I feel in love with them.